2200 kms of optical fibre and still counting. Heralding a new era for online education and research in New Zealand, Research and Education Advanced Network New Zealand Ltd (REANNZ) has announced that it has entered into a long-term partnership with the country’s foremost, independent optical fibre network provider, Wellington-based FX Networks, to provide the national connectivity for the Kiwi Advanced Research and Education Network (KAREN). The arrangement secures the continuation of KAREN’s existing 10Gb/s backbone connectivity and footprint around the country for an initial term of three years through to December 2013, with two two-year renewal options. The move should mean lower cost, and faster and more reliable national bandwidth options for New Zealand tertiary and secondary education institutions, and could lead to a proliferation of virtual world and other third generation uses of the internet by both faculty and students in education across the country. When coupled with other moves, it should also provide benefits to distance learners. The Universities of Auckland, Otago and Canterbury, along with Weltech, in Wellington, are already operating a bandwidth-hungry, OpenSim-based virtual world system (New Zealand Virtual World Grid) in test phase in conjunction with the KAREN network which can only benefit from the latest development, which should ease both access and costs, especially as NZVWG only uses local bandwidth, rather than international connections. The decision to go with FX Networks follows what spokespeople for the two partners described as “a thorough and comprehensive evaluation process.” The KAREN network has previously worked directly with Telecom. The contract also includes options to move KAREN to a dark fibre-based network infrastructure, which will be essential to ensure KAREN can continue to offer leading-edge network services within a constrained cost base. Through moving to the new network, REANNZ will put into effect a new Network Access Policy which will provide greater flexibility to REANNZ and KAREN members around access, and use of the network. The network is currently recruiting a number of secondary schools to add to its current tertiary institution base. A virtual region on the Weltech portal of the 'alpha' test NZVWG Grid .... online and MUVE education can only benefit from the latest KAREN move. Work has already begun on comprehensive transition plan to ensure a smooth cross-over from current national connectivity arrangements to the new arrangements in December. REANNZ is currently in the late stage contract discussions with the preferred supplier for KAREN’s international network. An announcement on the selected provider will be made later this month. FX Networks already has completed most of an optical spine the length of the country and is completing a network right around the country to join with the spine – a number of local bodies like those controlling Hawkes Bay, Pahiatua, Dannevirke and Eketahuna among others have already signed up with FX Networks – which should make access to KAREN and true high-speed broadband internet an affordable reality for most institutions as well as distance education students. Previously, despite claims to the contrary, the major Telcos in New Zealand have supplied provincial New Zealanders with Broadband, which they pay Broadband prices for, but which generally have not delivered consistent Broadband speeds. In fact, in areas like the Manawatu, consumers, although paying Broadband prices, have often been left with a service, during times of high contention, which has run at dial-up speeds. FX Networks’ fibre optic ‘backbone’ network covering both islands of New Zealand, however, is the fastest independent intercity pipeline in the country, capable of transferring data and voice at speeds up to 10Gbps. The company is privately owned and funded, with 30 percent equity held by New Zealanders. It is independent from the Telcos operating in New Zealand. FX Network’s partnership with REANNZ follows the announcement in April that FX Networks had signed an agreement with Telecom Wholesale for the exchange of local internet traffic (local peering) at 19 of Telecom’s points of interconnection – 39 currently available) around the country, laying the groundwork for the “most efficient routing” of New Zealand’s growing volumes of Internet traffic through New Zealand’s two main internet backbones. One of the regions on the University of Auckland portal of NZVWG grid which should benefit from both the KAREN decision and local "peering." Peering allows traffic to be exchanged on a local or regional basis rather than transported back and forth throughout the country to be exchanged in Auckland. FX Networks Jamie Baddeley said at the time of the agreement that it meant that the Governments investment of $1.8bn in urban and rural broadband “will now be able to run local content in a fast and efficient manner. The University of Auckland portal of the New Zealand Virtual World Grid (NZVWG) has successfully hosted its first international seminar, attracting a number of leading MUVE educators and researchers from around the world. The meeting coincided with the announcement by Dr Scott Diener (SL: Professor Noarlunga), the virtual meeting host, that the University of Auckland portal of the grid, although still in a trial phase, was now open for virtual-world users to apply for ‘free’ registration from the Auckland portal. It also coincided with a ‘demonstration’ of just how easy it is to teleport an avatar from the University of Auckland portal MUVE on the NZVWG ‘Hypergrid’ to the MUVE of the University of Otago and return with inventory intact and retention of all abilities. The NZVW Grid based on OpenSim software has grown out of the original ONGENS grid, developed by the University of Otago in concert with the University of Canterbury, and the University of Auckland. Weltec has also developed a portal for the grid and Nelson Marlborough Institute of Technology has associate status. 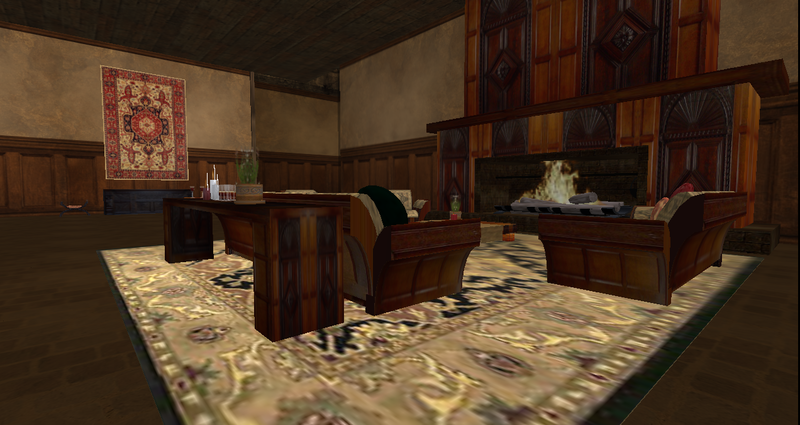 Welcoming the 20 plus guests from Educause’s Virtual World Roundtable to the meeting in the Great Hall of “Kapua Castle” on the island of Kapua 3 in the New Zealand Virtual World Dr Diener said, “This is a really exciting development for us. Members of the Virtual Worlds Roundtable, who have previously visited a number of other Virtual Worlds as a group for their meetings to assess and monitor MUVE development around the world praised the apparent stability of the University of Auckland portal MUVE, the ease of entry, the fact that it was open source and free, and the use of the Hypergrid, which opens up possibilities for easy, transparent connections to tertiary institution MUVEs around the real world. “We have found the Hypergrid does work, albeit with problems, “Dr Diener said, explaining that the goal of NZVWG was first to experiment and eventually to link to other grids. Detailing the setup of the MUVE, he said, the Auckland University portal is running on two virtual servers (VMware), and has a total capital investment of some $NZ10,000 ($US7000). This compared to an investment of say $US55,000 for signing up for SL Enterprise (previously Nebraska), the Linden Labs’ “behind the firewall” solution for standalone virtual worlds. The Auckland MUVE is running on two dedicated, virtual machines with one server running a database and six sims. CPU usage has never got above five percent. Freeswitch voice is available on the MUVE but not yet completely activated. “We can duplicate them (the virtual machines) in about 30 minutes – to scale if necessary,” he said in answer to a question, adding that OAR content was backed up automatically. A University of Auckland staff member is assigned one day a week to the MUVE , he said, with most of the work involved with things like getting voice working, and getting the Hypergrid fully functional. He said the portal had been created out of his own budget as associate director of IT Services at the University of Auckland. Dr Diener's Kapua Castle where the Roundtable meeting was held in the Geat Hall. “This is how our Writing Center began,” Iggy Strangeland, of the University of Richmond, observed. “I bought a server out of budget, and then eventually got it supported by our data center. Now they maintain it and I just design content. “We proved the concept. If it works for 2D Web, it can work for Virtual Worlds,” Strangeland said. The major current problem with using the NZVWG MUVE for education purposes was the fact that there were as yet few resources “in world” … “all scripts have to be brought in,” Dr Diener said. Given success for the NZVWG, however, Dr Diener said, he would be excited to work on connecting the that portal with any other university grid in the world. Commenting on this, Lindy McKeown, of the University of Southern Queensland, said education.au in Australia was trying to set up a Hypergrid for all Australian universities to join. Dr Diener, who is also a Lecturer at the University of Auckland, is well-known in Second Life and virtual world education circles around the globe for his and his associates’ creation of successful medicine/nursing/architecture simulations on the three University of Auckland Second Life islands in Second Life, the first of which was “Long White Cloud”. Dr Diener mentioned that the “very active” New Zealand virtual world group VLENZ was represented at the meeting by Nelson Marlborough Institute of Technology and Second Life Education New Zealand Project founder and joint leader, Dr Clare Atkins (SL and NZVWG: Arwenna Stardust). Dr Atkins, on behalf of SLENZ and NMIT, operates two islands in Second Life, Koru and Kowhai. 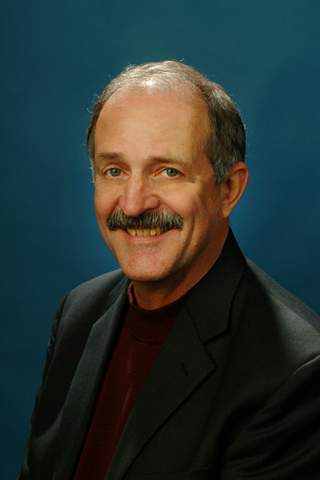 “I think it WILL be a viable alternative (to Second Life) soon,” Dr Atkins said. Other speakers agreed with Dr Atkins’ view that NZVWG and OpenSim were a good replacement for Second Life: “for me (as an educator) one of the huge benefits to OpenSim is that we can use it with under 18s,” she said. A sitting room in Kapua Castle. Dr Atkins’ and Czart’s comments about possible replacements for Second Life followed a remark that the Linden Labs’ position of Second Life education guru Pathfinder Linden had been disestablished and that the Lindens appeared to be showing less interest in education. But, she added, that for these alternative worlds to be successful “we need an SLexchange type (virtual worlds sales) system for other grids since Linden Labs had bought out virtual world goods sales competitors. Iggy Strangeland replied that http://imnotgoingsideways.blogspot.com/2009/11/alternatives-to-xstreetsl.html was a good source for other sales portals. Lindy McKeown added that one also could buy OAR files full of content one the net and there were lots of free ones too. On this point AJ Kelton, director of Emerging Instructional Technology at Montclair State University, founder and current leader of the EDUCAUSE Virtual Worlds Constituent Group and Roundtable moderator, agreed with Mirt Tenk who suggested that it would be good for tertiary education providers to share the “stuff WE have built in Second Life as open source for OpenSim users. Others agreed with this view, including Dr Atkins who noted that all SLENZ Project builds were free and open source. There was also a question, raised by Liz Dorland, of Washington University, in St Louis, and others, of the importance of virtual world students and educators being able to connect with the rest of the world community as they could in Second Life. Dr Atkins said that she thought the “richness of Second Life and its diversity” would be hard to grow in an OpenSim environment although other speakers noted interoperability between all MUVEs, including Second Life, to get the best of all virtual worlds, was a possibility. 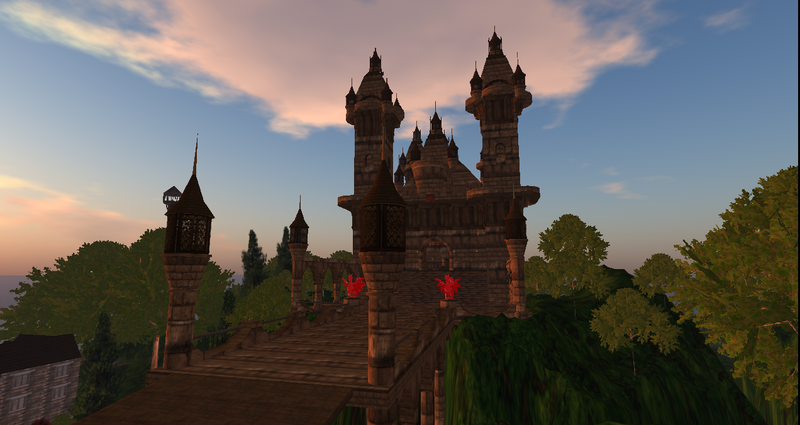 Another "resident's' Castle on the NZVWG portal grid. Virtual simulation in an Auckland University, New Zealand, virtual medical centre training environment is returning similar results to a real life training facility at a fraction of the cost of a facility of that type, according to Dr Scott Diener PhD (Pictured at right). Diener (SL: Professor Noarlunga) (http://scottdiener.edublogs.org), the university’s associate director of IT Services, an enthusiastic proponent of learning in virtual worlds and creator of the University’s Academic and Collaborative Technologies’ Long White Cloud Island sim in Second Life, made this remark in a YouTube video presentation on the Virtual Medical Centre. 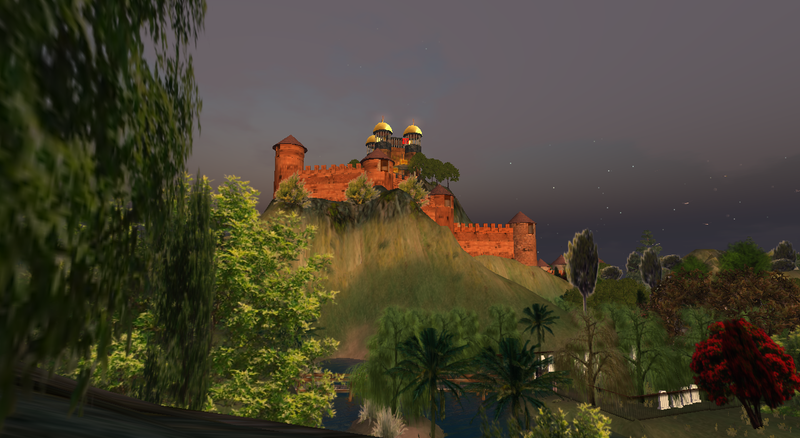 The University of Auckland’s interest in virtual worlds is such that it has also taken up 12 islands on the ONGENS OpenSim Virtual World Grid (on the ONGENS Test Bed Facility), a start-up being run by Otago University and the University of Canterbury on the KAREN network. ONGENS (Otago Next Generation Networks and Services) is supported by the Global Network Interconnectivity Project which is funded by the New Zealand Tertiary Education Commission Growth through an Innovation Pilot Initiative. American-born Diener (right), who is also a blue-water yachtsman, notes that to set up a similar training facility in real life, using mannequins, would cost something like US2.5 million. In the SL Medical Centre simulation, however, Diener said, the instructor could set various similar simulations/situations that students teams had to diagnose and treat. “Readings and charts change when someone becomes a patient,” he said, adding that the students, through working in the simulation, learned teamwork and communication skills alongside the clinical skills. In the virtual ward, actors could sit in beds (as avatars) acting as patients with specific problems, he said. He didn’t mention it in the video but this means they can be accessed/interviewed/diagnosed by students and interns – and even working doctors needing to upgrade their skills – with access to Broadband internet anywhere but not the time to travel to New Zealand’s two medical schools, one in Auckland and the other in Dunedin. SLENZ Shuffle? Well he might not be the new “Arfur Daley” (of TV Minder fame) but it looks like he might be able to do a good job in the virtual world import-export business. He has already successfully “shifted: the lower floor of the Foundation build on Kowhai, in Second Life, to one of Nelson Marlborough Institute 0f Technology’s regions on a node on the ONGENS OpenSimulator, set up by Otago and Canterbury Universities, in the SouthIsland of New Zealand. “The robot then exports the objects and with the help of in-world script other items,” he said, pointing to the SLENZ shipping node (right). “Eventually we could get the robot to logout and then login to ONGENS and complete the transfer. The robot is being developed as part of the SLENZ Project to ensure all project builds and other elements created by the SLENZ team can be backed up outside Second Life as SLENZ-owned IP. The team has previously trialled other “back-up” methods but found them not to be suitable for the SLENZ needs, mainly because the IP is held in another organisation’s storage. Cochrane stressed that SLENZ Shuffle could not be used to export IP developed/owned by Second Life, Linden Labs and other Second Life developers and residents. Cochrane also pointed out that the creation of the import-export facility is not unique, it is an extended version the existing OpenMetaverse code. And for example IBM has already done something similar as well, teleporting avatars led by Second Life’s Zha Ewry RL: David Levine) between Second Life and OpenSim. WelTec currently is running two regions in the WelTec Virtual Lab, and at the Petone Campus, as part of the Weltec programme to trial a varietyof virtual worlds for education under a variety of conditions. Cochrane is currently considering allocating space in Weltec’s ONGENS regions for Human Computer Interaction students doing Interaction Design projects. 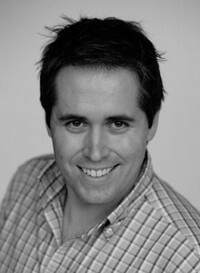 “Having our own node means we are contributing to the New Zealand Virtual Worlds grid.” Todd said. The node is currently on WelTec’s 3D server, deep.weltec.ac.nz, but may eventually be connected through KAREN, New Zealand’s tertiary institution high-speed Broadband link. 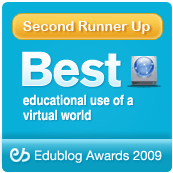 The value of virtual world education for high school students has been demonstrated in a recent independent evaluation of a Science through Second Life project run in New York last year. Global Kids is a New York-based organisation that provides a range of international education and leadership development programs in 21 public high schools and myriad online venues. Its MacArthur-funded work is leveraging after school programs, online dialogues, contests, machinima, and virtual worlds to bring attention to voices of youth on the role of digital media in their lives. Students’ attitudes towards science-related careers changed positively with the StSL curriculum. Students’ self-efficacy and self-confidence in their abilities to do science-related work increased. Compared to the traditional science curriculum, the number of students reporting being overwhelmed by science class fell by 50%. Low achieving students’ grades improved significantly compared to the previous semester. Students’ collective intelligence skills improved throughout the semester. More students reported that they felt more comfortable working with others to get something done using digital media in the post survey. The new virtual currency system is currently scheduled to go live at the end of February, obviating one of the major concerns that the current user base has voiced. OpenLife is currently the largest grid running on the OpenSimulator 3D application server program. 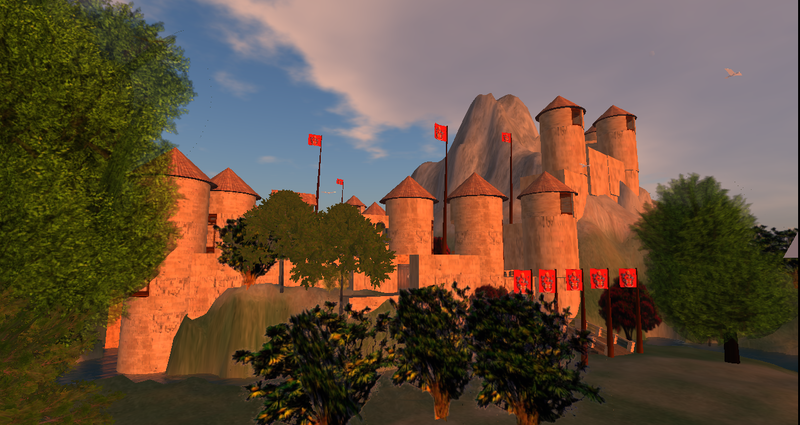 OpenSimulator essentially allows individual users to create their own virtual world “grids” on their own servers that look and function much like Linden Labs’ Second Life. In fact, the technologies involved are so similar that it is possible to use a Second Life client to connect to any OpenSim grid [An experimental Grid, the ONGENS OpenSim Virtual World Grid, has been set up in the ONGENS Test Bed Facility between Otago University and Canterbury University to explore the possibilities of the technology (http://www.gni.otago.ac.nz/index.php/ongens-virtual-world-grid)]. “Exchangeable credits are a popular request from residents,” according to Steve Sima, founder of the OpenLife grid, in a statement to CyberTech News. The announcement while it will be welcomed by OpenLife users could put paid to Linden Lab plans to attempt to spread a generic virtual currency through virtual worlds. … but SL gets act together? Are the US timezone Sunday “log-in disabled” periods which have bedeviled Second Life users around the world recently – especially on Mondays in New Zealand and Australia – about to become a thing of the past? It would appear from FJ Linden’s (Frank Ambrose) most recent update on improving the infrastructure that underpins Second Life (and the resulting forum dialogue) that Linden Lab is still confident it can overcome the problems which occur for all residents within and outside Second Life when user numbers reach 80,000, now a normal US Sunday afternoon and evening ocurrence, which has led to scheduled meetings in other timezones being disrupted when participants haven’t been able to log in. As the outages occur on Sundays they are not a “working” priority/problem in the US. The easy answer, of course, is for those in other timezones to schedule meetings at other times but as more people join the SL “over-population problem”, if it is that, has to be solved. While admitting its been a bumpy few weeks, with Level 3 outages, and central database issues, Frank says “the good news is that LLnet (data center fiber network) continues ahead of schedule and we should be starting traffic migration in the next week. We’ve also made some headway in the area of asset storage. Right now, central database issues are our core focus and have been at the center of most of the recent grid problems. “The benefits of LLnet are to not only get us off of our dependency on VPN’s for inter data center traffic, but also lay the foundation for diverse internet providers that will allow us to handle an outage on a single provider (currently Level 3) and potentially improve latency,” he says. “Most of our widespread and highest impacting outages have been network related, and that is why LLnet has been my top priority since joining Linden Lab this past summer. Attaboy Frank! We await the results with bated breath.